Rude Or Acceptable? Customers Leave Mess At Wendy’s On Pacheco Blvd. This photo came from a Claycordian who recently ate at the Wendy’s on Pacheco Blvd. She said a bunch of men left their garbage on the table and just left the restaurant after they were done eating. 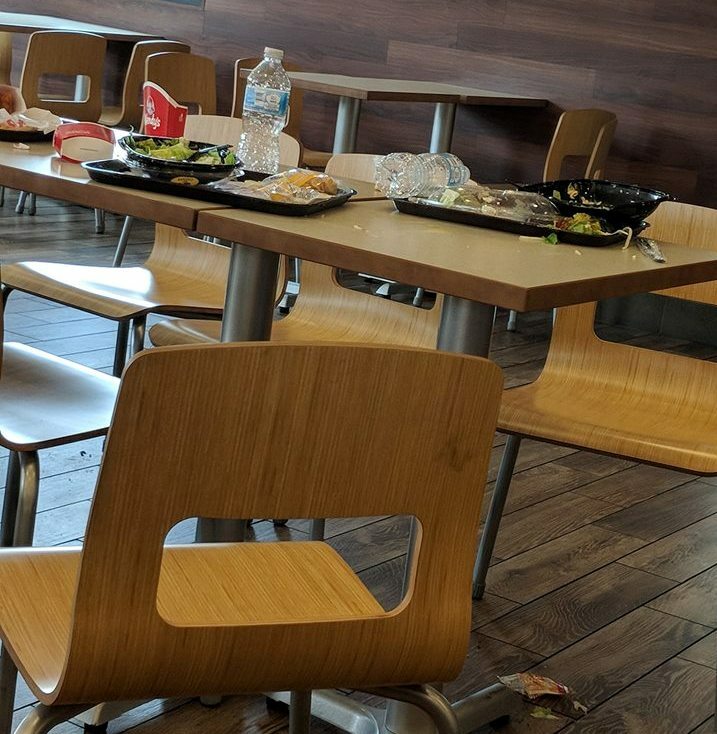 QUESTION: Do you clean-up your garbage at fast-food restaurants, or do you leave it on the table for an employee to throw away? Total slobs – but then again they are probably the type of people who think Wendy’s is fine dining where you don’t clean up after yourself…. Asshats. Always bus your own table if there are refuse receptacles provided. Is this a serious question? Of course we clean up after ourselves! I even wipe down the table. I see this all the time, probably once a week at fast food places. Its the low life’s that don’t care about anybody else but themselves that do it, you know who they are when you walk in. I take care of things like this myself because it’s a reflection on me. I don’t eat fast food, but when I did I took care of it. When I worked fast food as a teenager, it didn’t bother me to clean up after others. It was part of my job, and I’m one to earn my check. This falls under don’t sweat the small stuff. This is between the customers and employees. Say what now? I read this post at least 3 times and still can’t understand what you’re saying here. Darn those British people and their construction work! I think it reads, Lauren was eating with her husband, and she decided to leave the mess and tried to blame it on some construction workers she thinks are brits. I think they meant Brutish, not British. It takes a special breed of people to do that. I’ll bet they parked in the disabled spot as well. No regard…Personally I would never do that. RUDE. These are the same inconsiderate people that throw their trash out their car window, dump their sodas/coffee in parking lots, spit gum out on sidewalks, etc. They should be made to pick up trash along our roadways and creeks. Don’t put the milk back in the fridge with only a sip left in the carton. Men, lift the seat before you start. Put it back down when you are finished. Say “please and thank you”. Call an Uber if you have been drinking. Get out of the fast lane if you insist on driving slow. Just a partial list for the douche bags of the world. I’m sure others can add their thoughts. Don’t forget calling 911 on any non emergency issues. Put your own seat down you princess. One aspect is that I paid for the restaurant to provide me food and services. If they won’t pay for someone to clean the dining room that is not my fault. On the other hand I get a cheaper meal than in a sit down restaurant and to keep the costs down and be courteous to others I could pick up my stuff. Taking the neutral approach. It it’s not hard to dump your tray. The other day I was at my local sandwich place and somebody left all their garbage at the table. I got all upset and cleaned it up. They were actually in the bathroom and I threw away half their lunch. So you saw that half their lunch was there and still threw it away? If that happened to me, I’d be royally pi$$ed and demand that you buy me another lunch or be arrested. Their food was NOT yours to mess with. Maybe they had to use the restroom facilities for a couple of minutes before resuming their meal. Should they have taken their food into the RR and put it on the floor and lost their table? What a class 1 jerk you are!! What gave you the right to mess with their food? Maybe they just had to use the restroom facilities for a few minutes and were going to finish their lunch afterwords. Triggered! It was an honest mistake. Settle down. Really, TMB? Arrested? I think you need to take a couple of deep breaths and a Valium. You seem a little uptight. I always pickup after myself. I think it’s rude to other customers who need the table – not to the employees. They are paid to clean it up. They just don’t get to it fast enough. Maybe leave a tip if you’re going to do that. Lauren hauger, your post makes no sense to me. “British people thinking they were going to be the ones,” to what??? And I leave it behind??? Read it 4 times & still makes no sense. Were you the one who left the mess? Wow, maybe British people communicate differently. I wouldn’t leave it, but I think for many people they were raised that you leave your plate for the bust boy like you would at a higher end restaurant. The person who claims to have sent the picture said they were British, so it may also be a culture difference. But really, people who eat fast food are not know for having class, cheap garbage food in a cheap garbage atmosphere. I don’t have high expectations of people in fast food restaurants. Bust boy? You made my day Hill! People who eat fast food, same people who shop at Wal-Mart and dump their trash on the ground at the park. Truth may hurt your feelings , but it’s still the truth. That’s funny Hill….I feel the same way about people who can’t spell and don’t proof read their comments before posting. They are not known for having class and I don’t have high expectations of them. They are NOT Men; real men clean up after themselves. Rude. But acceptable. To each his own. I ALWAYS clean up after myself. I also clean up after others. I always go on garbage patrol at my campsite. It’s a gift to Mother Earth. My rule of thumb is if there are trash bins available and a place to put your tray, then it is up to me to clean up my mess. If there are no trash bins, then the trash gets left at the table along with a tip. Very rude. Unless you’re tipping the staff generously…then clean-up your mess. I don’t eat fast food but I have an opinion about this. If I am a paying customer it wouldn’t be my job to bus my table, it’s the same at any restaurant, it’s the job of the employees, this is what they get paid for. What’s rude is that paid employees expect their customers to do their job for them. They should be right on top of it and clean up the table right after the customer leaves. They want big pay increases but they don’t want to earn it. It’s the same as unloading my own cart at the grocery store, at one time the checker unloaded the cart for you, then some clown got the bright idea that the customer should do it. AND if you only eat slow food then your opinions are invalidated in this CASE grrr. They always talk about Costco members as the more “affluent” shoppers but please take a look at their clothing/shoes sections during a weekend. Especially shoes, and especially when they have a new product. Looks worse than a scene from Blues Brothers driving through that mall. Who are the “They” that call Costco customers affluent? Buying in bulk to save a few bucks is the opposite of affluent. They have no dressing rooms or customer service at Costco, what do you expect? Why would anyone’ “affluent” shop at Costco?????? “Why would anyone ‘affluent’ shop at Costco????? ?” Hahaha!!! Yeah, ’cause who ever heard of an affluent person wanting to spend less money than they could’ve?????? I always pick up after myself… i work in fast food and this is a daily occurrence for me.. spills aswell as food all over the floor. I always clean up at a self-serve restaurant. In Utah, there’s a place called Cafe Zuppas, kind of cafeteria line style soup, salad, sandwiches, but they bus/clean the tables. I still can’t get up and leave it there for them to clean up. It’s not like they are getting tipped either. Wait. Was this reported by that weird busybody woman who hangs out in Concord? I was at a Starbucks in Pleasant Hill one afternoon. the place was busy and all the tables were dirty. I had a drink and spoke briefly to a strange woman who had 5 complementary water cups and other random stuff in a shopping cart. She asked me to watch her cart. After a while she didn’t come back so I tossed my empty drink cup in the trash and left. Hours later I’m at the Sunvalley Mall. She sees me with a customer, accosts me and accused me of leaving a “Huge mess” at Starbucks earlier in the day. She kept ranting so my only recourse was to tell her to stop or I’d have to press charges for harassment. Thinking back, perhaps I had forgotten one straw wrapper but some people really take things too far. I use to think that it was so rude to leave your trash on the table or not put away the shopping carts. Then I read this article about how we should leave it because we are talking away a person’s job when we do it. I wish I could remember where I seen the article, it was well written and made me think about the other side. I’m still not sure one way or the other. I bet if her ‘little angel’ was cut by glass she would have sued the store. I too am amazed at how parents let kids run thru stores pulling stuff off shelves,pushing things over and don’t say a word. God help us all when those brats grow up to be full size monsters! Not new news to anyone who has gone to any fast food place. I clean up after myself when I go to one, which isn’t that often. Almost every poster here is wrong . The clean up -after -yourself thing in a restaurant has one motive : profit . There are plenty of young people that could use the job of cleaning tables. They used to do that and I will never clean a table after I eat and screw someone out of a job. Conflating refusal to clean a restaurant as a condition of eating and littering is , of course, felony stupid. Second thing . A proper cleaning includes wiping the table for the next customer, how many of the outraged here do that?
. As a result people sit right down at germ ridden tables. And most posters here enable that unsanitary condition . I always leave it, and encourage others that eat with us to leave their’s as well, If you clean up after yourself, you just got someone fired because they are not needed. Simple economics lesson, you’re welcome. I clear my mess up in most cases. If the food is delivered to me on plates with real silverware I let the restaurant handle those. For better or worse, I’m in the clean up after myself club. I worked at Mcd’s when I was younger, and the scent of ketchup and soda still haunts me. As for the gentleman saying that “it’s part of the job”, yes, keeping the front clean is, but this photo exhibits lack of courtesy. They could have at least tried to aim food into their mouths and put everything on the tray for easier removal. Just a few thoughts. 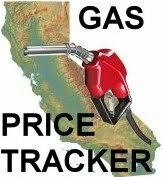 For those who don’t know, you pay a tax in California when you eat in, but not when it’s to go. Well now at a restaurant where food costs more people are not expected to clean up after themselves. So is the cost of the meal the difference, between leaving when you’re done and leaving a “MESS” ? ? ? Where is the break point, above what meal price is it no longer considered leaving a mess ? ? ? Welcome to the new world folks… like the kind people who leave giant Piles of garbage every day in Dolores Park in SF, which by the way is one of their few green places to enjoy a day in the concrete jungle. Then there is the outside lands or 420 gatherings that they leave litteraly tons of garbage for others to clean up, then to top them all is everyone’s crown jewel Lake Tahoe, on the Fourth of July, throngs of wonderful people that leave massive amounts of garbage, including diapers, broken chairs, bottles etc. on the gorgeous shores of this majestic lake which has become so severe they need the locals to assist in the clean up. What a pity……. Devils Advocate: What if the staff provided really crappy service / food and this was their way of getting revenge? What if they saw a rat (shout-out Dirty Dining) and said heck no and got the heck out of there? Cleaning up after yourself is expected, but we don’t know the whole story. Just a thought before everyone jumps on the “I so holy” throne. The comments are the best part! People are losing their stuff over this! Lol. There used to be a worker that went around to insure the cleanliness was up to the “restaurant’s” standards. Then many decades ago a fast food executive (McDonalds?) got a brilliant cost savings idea. Hang a sign asking customers to bus their own tables and they get to hire fewer people. Soon they all did it. Now the minimum wage workers can’t be bothered to empty the garbage bins resulting in overflow and no one goes around wiping the sticky stuff off the tables. For these reasons and the “quality” of the food I stopped eating at any fast food places. My vote is to leave a mess and create more jobs for the people desperate enough to work there. Next post: The Water Cooler – Do You Have A Tattoo? Do You Hate It Or Love It?